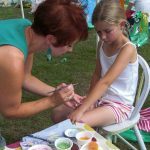 Our junior activities will give youngsters the opportunity try something new. 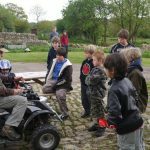 Choose from quad biking or country pursuits including archery and clay pigeon shooting with our experienced instructors. Safety is our priority when teaching children and we have many years of providing junior activities in a safe environment. Are you looking for some extra special Birthday Party ideas? Would your youngsters like to try an experience just for fun. Why not purchase an open-dated Gift Voucher? Our venue is close to the National Trust village of Lacock and is set in beautiful countryside and perfect for a kids party. 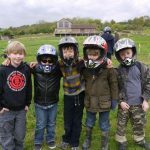 We have a wide selection of activities suitable for children from 6 years plus. Please double check the age restrictions on some of the junior activities as they might be higher. The Owl Lodge Conservatory is available for hire if you want somewhere to cut the birthday cake and is both warm and dry so suitable whatever the weather. For details on hiring the room please ask when booking. When organising a kids party select from the list. We can combine the best activities for you to suit your budget. We can also bring in other junior activities that compliment the event – always ask if you cannot find what you are looking for. We can help you put together the best options if you are unsure. We are also the perfect site for schools and colleges offering lots of team building in a fun environment. See our section on schools to find out more information. 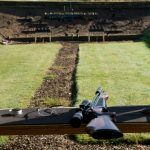 Our rifle range is set up to teach you all the skills of using our air rifles in a safe and controlled environment. Our instructors will be right next to you when you take aim at our series of targets. The winner will get a small prize for getting the highest score. We do need you to be a minimum of 10 years to take part. 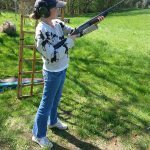 Owl Lodge has a specially designed clay pigeon shooting area and you can come along and shoot our guns to experience the amazing skill of shooting. 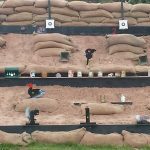 Our instructors are brilliant at showing children how to take aim at the clays in this very rewarding skill to learn. Minimum age is 10 years. Why not choose a couple of experiences and purchase one of our open-dated gift vouchers or combine this with another activity as a BIRTHDAY PARTY. Our Junior Air pistols are for youngsters from 10 years of age who want to learn a brilliant new skill. There are a series of targets to hit on our specially prepared shooting gallery, each one needing a steady aim and a good eye for learning technique. Our experienced instructors are perfect for teaching young people all they need to do to get that high score. If you want to purchase a gift voucher the session lasts 1 hour on every 2nd and last Sunday of each month. We have special 70cc quad bikes for you to drive around a specially prepared course. There is a minimum age of 6 years and we supply helmets for safety purposes and advise that you come dressed for the outdoors. Either take part as a stand-alone activity and buy one of our GIFT VOUCHERS or if you are thinking of having a BIRTHDAY PARTY – this is the perfect way to have fun with your friends. Our minimum age is 6 years for parties. We have the special targets and all the arrows you need to take part in this cool activity and try to take aim in our shooting area. We can set the targets up to get closest to the Bulls-eye or try to pop the balloons. There is a minimum age of 6 years to take part. 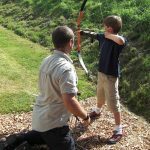 Click for one of our GIFT VOUCHERS for an individual or look at the Junior Group options for booking an Archery Birthday Party. 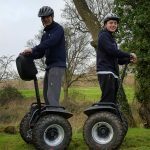 We are very excited to now offer the chance for youngsters to have a go on our brand new Segways. We ask that you are a minimum of 10 years of age and a minimum weight of 7 stone to take part. You can include this as part of a Birthday Party option or have one of our open-dated Gift Vouchers. Our Junior Segway Birthday parties are £200 for 1 hour based on a min of 6 and max of 8 youngsters – all aged 10 and above. The course is set out on our events field for you to drive the Segway skilfully around the cones. You start off with a full safety briefing before you get to set off and all safety equipment supplied. We split the group into 2 teams and swap after approx. 40 mins and bring both teams together for a finale on one activity… group dynamics dictate this!! Let us organise the best birthday party ever for your children. Our minimum age is 6 years and we can make it an event to remember – all you need is a minimum of 6 children. With your budget in mind you can combine any of the activities together to suit the youngsters. Our birthday party options start at £100 for archery for a minimum of 6 children (please see individual activities for minimum ages and max size of group).